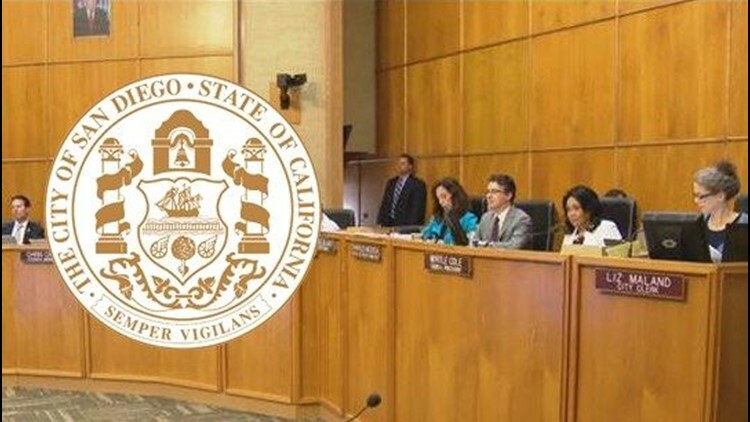 SAN DIEGO (CNS) - The San Diego City Council voted during closed session Tuesday to join an amicus brief being prepared by cities and counties to support California's so-called sanctuary state law in the face of a Trump administration lawsuit against it. The measure passed 5-2. Council members Lorie Zapf and Mark Kersey voted against participating. Councilmen Chris Cate and Scott Sherman weren't present. San Diego Immigrant Rights Consortium Chairwoman Lilian Serrano praised the action. "San Diego's decision to stand for California values and join the fight against Trump's harmful lawsuit sends a powerful message that San Diego is committed to valuing and protecting all of its residents, no matter where they come from, and treating them with dignity and compassion," she said. California's so-called sanctuary state law has been hotly debated in recent months. SB 54 limits cooperation between local law enforcement and federal immigration authorities. Supporters of the law believe it makes immigrants who are living in the country illegally more likely to report crime and cooperate in law- enforcement investigations. But opponents say it stifles federal efforts to detain criminals. The San Diego County Board of Supervisors voted 3-1 in April to file an amicus brief to join the U.S. Justice Department's lawsuit against the sanctuary policies that went into effect in January. The deadline to file such a brief has passed, so the county will only be able to take action if and when the case goes to a higher court for appeal.